Guatemala has transformed itself into one of Central America’s most popular travel destinations in recent years, and this achievement comes after struggling through decades of civil war from post-WWII to the 1990s. The country attracts visitors with its memorable landscapes, amazing archaeological sites, and the fascinating lure of the indigenous Mayan culture. 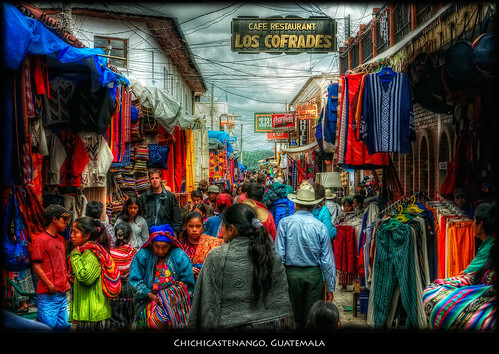 Guatemala is made up of primarily Amerindian, a stark contrast from the overwhelmingly mestizo populations of other Central American countries. Almost half of Guatemalans are full-blooded Mayans, speaking their own dialects and living in small rural villages that have remained unchanged for centuries. The Mayan culture is ubiquitous in Guatemala, seen in the colorful traditional costumes worn throughout the country, in the lively fiestas, and less noticeably in the beliefs that continue to persist in the Guatemalan communities despite the modern challenges that threaten their traditional way of life. Guatemala’s most extraordinary attraction is no doubt its Mayan ruins, among which includes the much celebrated Tikal. This ancient site is perhaps the most impressive archaeological ruins in the entire Latin America, and at its height around 500 AD was the most powerful city in Central America. But there are also other less well-known ruins buried in the interior rainforests in the country’s eastern lowlands that should not be skipped or overlooked. Guatemala, however, is not just about its Mayan roots or its archaeological ruins. The country boasts some of the most stunning landscapes in Central America. You’ll find everything from towering volcanoes encircling majestic lakes like the Atitlan in the highlands to the pristine rainforests that cover Peten, the eastern region of Guatemala. Among Guatemala’s main attractions include Antigua, its capital and most beautiful city. Lake Atitlán in the highlands is another worthwhile destination, along with Tikal, the Volcán Pacaya (an active lava volcano that can be climbed), and the Sololá market. The Río Dulce on the country’s Caribbean coast is a scenic spot where you’ll pass through steep gorges, walls of tropical flora, and nice beach and boating areas like at Lake Izabal. If you want to taste more of Guatemala’s culture and traditional way of life, Todos Santos is a famous traditional village in the Cuchumatanes mountains. The village hosts an annual fiesta in November when the locals and tourists all drink and celebrate with marimba music. The Ixil Triangle in the same Cuchumatanes mountains is also home to many traditional villages as well, including Nebaj, Cotzal, and Chajul. There are beautiful walking trails around the villages and you’ll admire the picturesque white adobe houses that line along the old-school cobbled streets. Having shaken off its less than rosy past, Guatemala has become a relatively safe country to visit. But like other Central American countries, there are the occasional robberies, rapes, and scams to watch out for. Traveling in groups is recommended, especially at night. Guatemala’s climate is very tropical along the coast and in the eastern regions. The highlands and rainforests are more temperate; the jungle trails of the rainforests are very muddy when the rainy season hits between May and October.